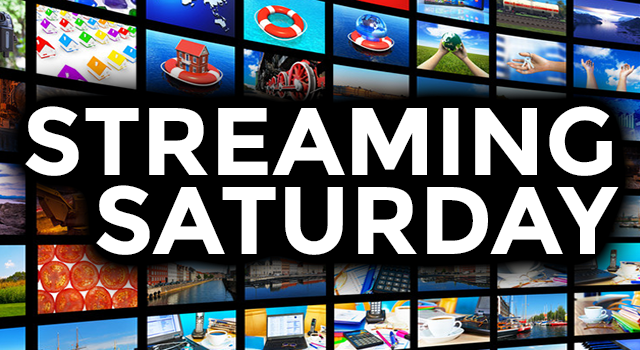 STREAMING SATURDAY: Netflix Redemption 2017? As streaming services go, Netflix has taken a beaten over at this blog. Perhaps its January releases will redeem Netflix’s position as a top streaming channel. With its January lineup, Netflix might have addressed some of the criticisms us Solid Signal bloggers had. As you might recall from last week’s Streaming Saturday, one of my gripes about Netflix was its seeming disregard for older titles. The streaming service recently shaved 5,000 titles from its list, giving viewers the impression that anything more than three years old was considered worthless. I’m glad to see that Netflix has stepped into 2017 with a relatively strong roster of programs from a variety of decades. The streaming service also has a variety of series and original programs to make the first month of a new year an interesting one for streaming. Netflix also released some great 90s-era films this month, which certainly has me excited. While Gen Xers had a 1980s childhood, the 90s was the decade in which we came of age, and many of the films from that era are unforgettable. Some of these titles made it to Netflix in January. For example, there’s the unforgettable Braveheart (1995). For something just as historic, though focusing upon a different time period, there’s Boogie Nights (1997). To be honest, it was this film that made me respect Mark Wahlberg as an actor. Of course, it would’ve bolstered my argument a bit if Netflix had a couple more 90s movies this month, but these two are find examples of classic 90s cinema. As a streaming service, one of Netflix’s biggest strengths is its original programming. Whether it’s movies, series, or comedy specials, this streaming service never ceases to amaze with its dedication to creating vibrant original programming not found anywhere else. Netflix’s January releases in this category definitely show some promise. As movies go, Coin Heist (Netflix Original) looks like an entertaining romp on a slow-TV night, and the documentary Best and Most Beautiful Things (2016) appears to have enough quick, fringe, and (perhaps) cringe to make it interesting. My oldest son, Jake Jr., will watch Jim Gaffigan: Cinco, while I’m sure that Mrs. Buckler will get her latest Brit flicks binge-watch fix from The Investigator: A British Crime Story: Season 1. Meanwhile, I’m just eating popcorn and waiting for season two of Stranger Things. A Good Start for 2017? Yes, I think Netflix had a good start for the new year. Not amazing, not bad, but definitely pretty good. Will everyone agree? Probably not. I’m sure that my esteemed colleague Stuart Sweet will disagree. If I had to take a guess, he’d probably say that Netflix has yet to correct its most notable errors, namely its less-than-optimal browsing experience on the AppleTV app and an inability to search movies by category on the AppleTV app. These are big sticking points for Stuart and frankly, I can’t argue with him. Hopefully the powers-that-be at Netflix will listen to users’ complaints and make the necessary adjustments. This is what it needs to do to maintain its position as the No. 1 streaming service.